Robots are stealing jobs, the narrative says, and, according to this video, robots are stealing the arts too. 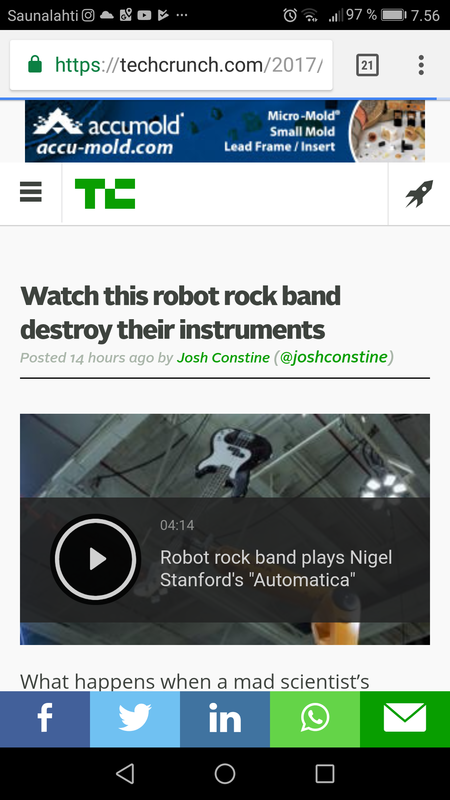 The video shows several industrial robotic arms playing the piano, guitar, drums and a keyboard. Through some stellar music production, it sounds amazing too. Nigel Stanford is the artist behind the project and also posted a video that shows some behind-the-scenes clips — basically a jam session before the main show.